As per the variegated requirements of our clients, we are offering quality approved Selbourne Chocolate that are delicious in taste and have excellent aroma. This handmade design chocolate is extensively acknowledged for their quality, thus highly demanded by our esteemed clients. 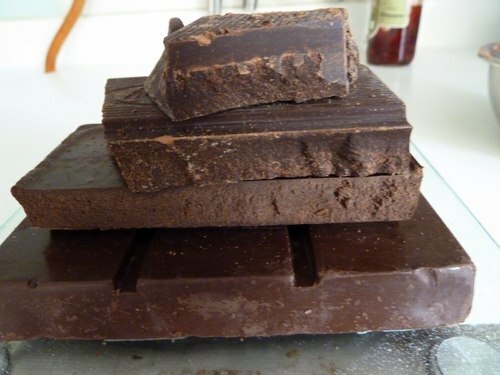 Our offered range of Chocolate is prepared using high grade ingredients under the utmost hygienic condition. Further, we offer the entire range in various packaging options and at highly competitive prices. Established at New Delhi (India), in the year 1999, we, “Pigmento (India)” are one of the distinguished manufacturer, exporters and supplier of a superior quality range of Rangoli Color & Kits, Packaging Products, Candle Products, Chocolates Products, Chocolates Raw Materials, Bakery Products & Bakery Raw Material. The candle products and boxes offered by us are appreciated for contemporary designs, attractive colors and beautiful appearance. Our offered array of chocolates is manufactured using quality ingredients and is high on purity levels. Also, these are appreciated for exquisite taste and high nutrients. Our entire range is manufactured under the strict supervision of our skilled professionals. Furthermore, we also make use of the most advanced techniques in order to make our products as per the latest trends. In addition to this, we are offering our range at reasonable cost to our clients.